Happy Wednesday! 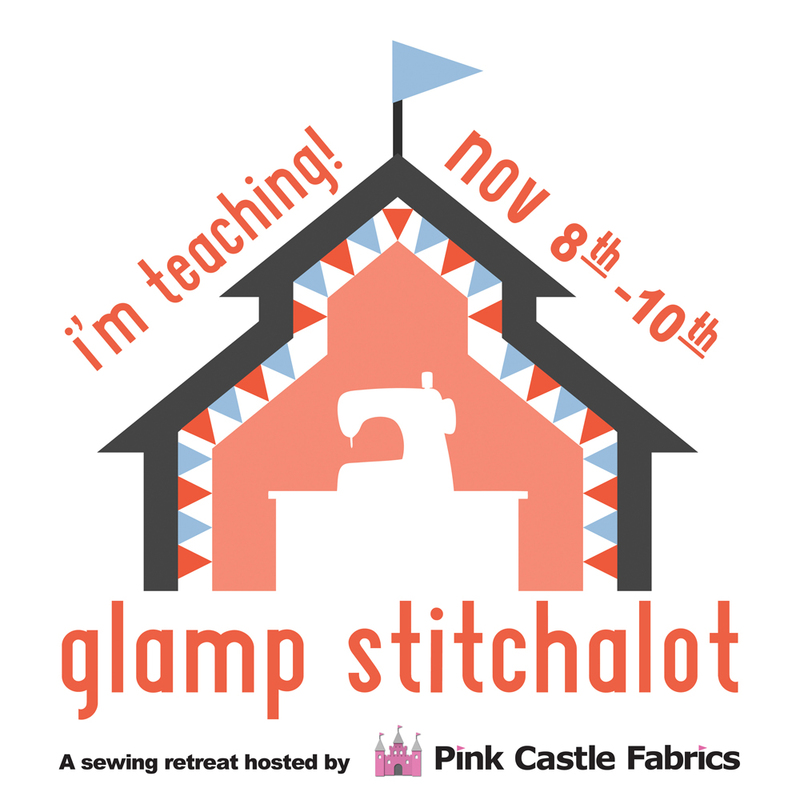 I'm happy to share today that I'll be teaching at next year's Glamp Stitchalot Sewing Retreat, hosted by Pink Castle Fabrics. Mark your calendars! If you're not familiar with Glamp Stitchlot retreats, let me give you the run down! 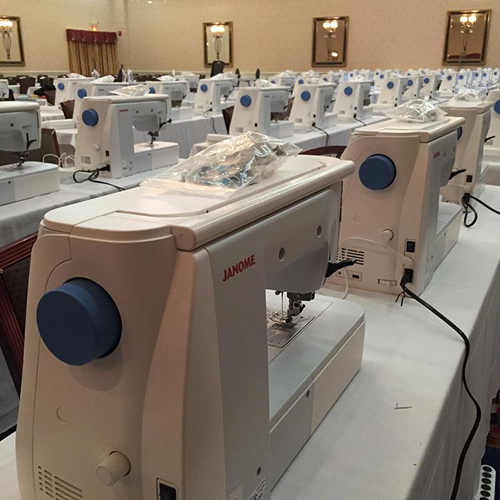 It's a weekend sewing retreat in Ann Arbor, Michigan. The weekend is packed with classes, sewing time with your friends, and social events. Back in 2015, I taught at the first Glamp Stitchalot event! It was a lot of fun, and students worked on a medallion style collaborative quilt, with a different row/center taught by each instructor. 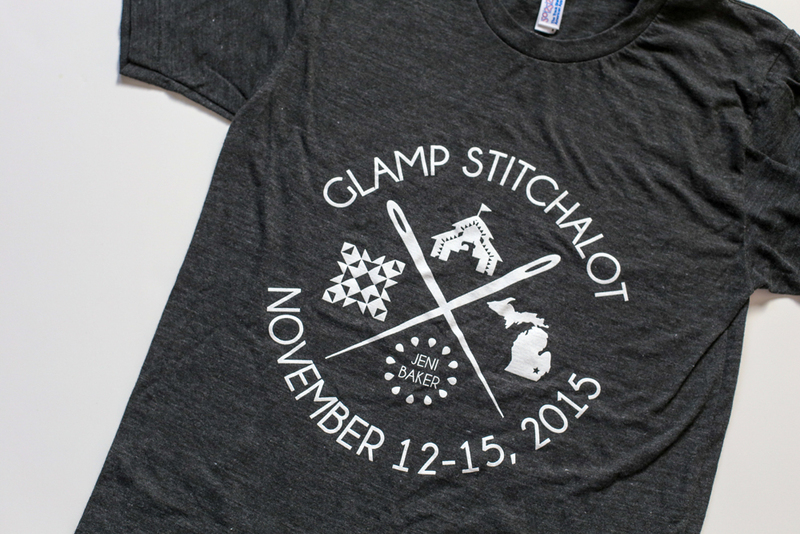 The 2018 Glamp Stitchalot Retreat is November 8-10 at the Sheraton hotel in Ann Arbor. There will be three hour classes from four teachers (Kerry Goulder, Felice Regina, myself, and one more to be announced). There will be lots of open sew time to work on projects, and giveaways too! Plus, Thursday dinner, three meals on both Friday and Saturday are included in your ticket. I'd recommend coming in early on Thursday to make a shopping trip to Pink Castle Fabrics HQ! 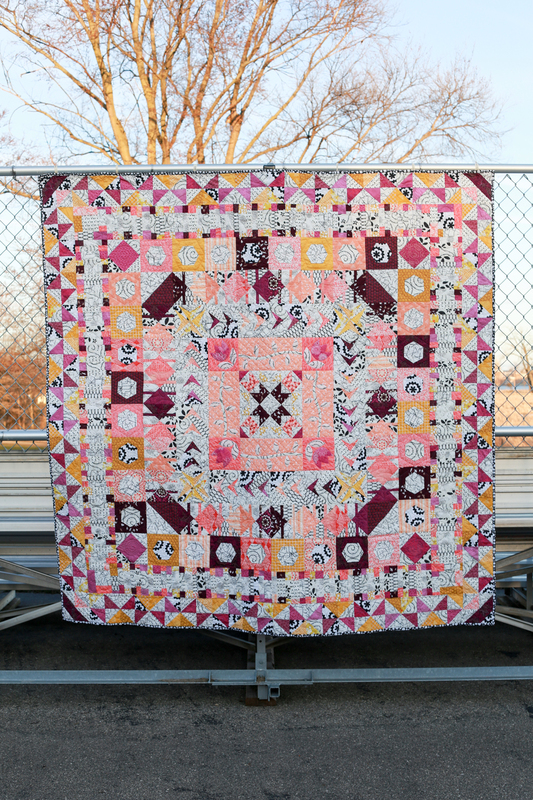 My class will focus on transforming a quilt design with color and fabric. 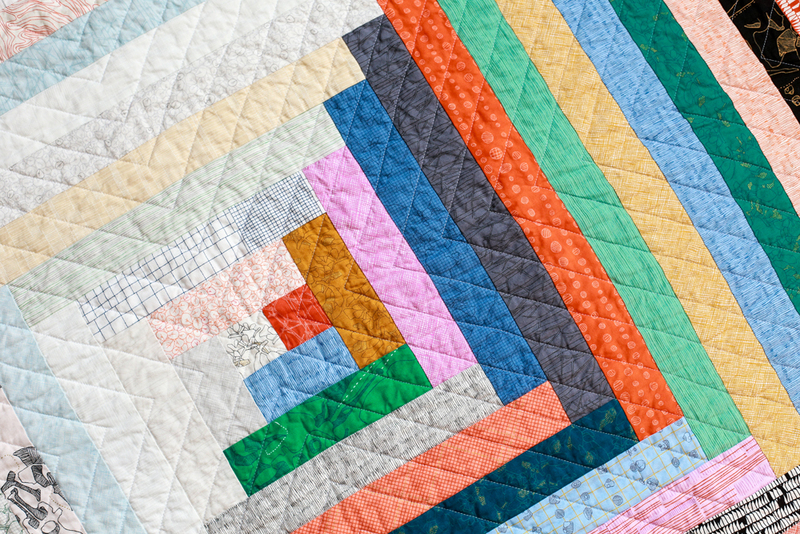 We'll discuss how color selection and fabric placement can completely change a pattern, and put those skills into practice working on a big block you could turn into a pillow or mini quilt. We'll squeeze in a crash course on color theory for quilts too. I find these kinds of events really help to recharge my creative batteries. Especially since we interact with other stitchers on the internet a lot, it is exhilarating to be in a room full of fellow stitchers! And an opportunity to make new friends too. Hope to see you there! There are payment plans available for 3, 6, and 10 months to make your budgeting easier. Buy tickets and find details about the event here.